The 4 Deserts Race Series will celebrate its 15-year anniversary in 2017. This page looks back at our first fifteen years through photos, features and news. You can also learn more About the 4 Deserts and view our History page for details of each event since the inaugural 4 Deserts race at Gobi March (China) 2003. 4 Deserts competitors, volunteers and staff reveal their favorite photos from the past 15 years. All these local people showed up 15 minutes before our very first start line at the Gobi March 2003. 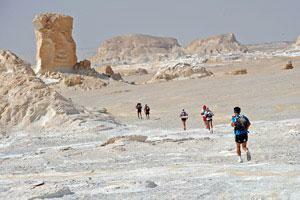 A stunning photo of competitors running through the White Desert in the Sahara Race 2008. 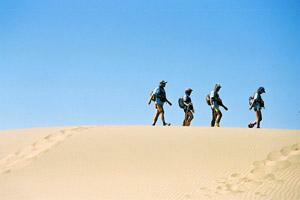 I love this photo of The Last Desert 2010 runners in Dorion Bay. 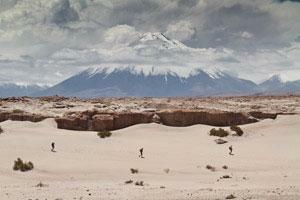 This is an amazing photo of the Atacama Crossing 2012 runners with Licancabur Volcano in the background. This image at the Gobi March 2012 looks like a Hollywood film set - in fact it was the scene for the campsite at the end of Stage 4. 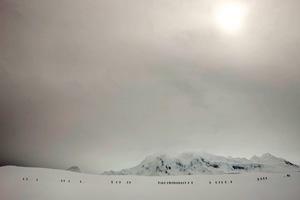 The field labors through the snow in Antarctica (in 2010) under a barely visible sun - a rare and cherished event at the end of the world. 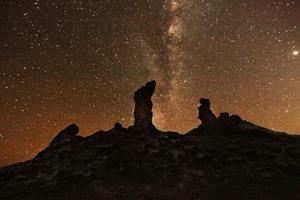 Not sleeping for 36 hours paid off when I captured this image of the "Three Marias" in San Pedro De Atacama's Valle De La Muerte at 2am at the Atacama Crossing 2009. The raw power of Vicente's legs, combined with one of the planet's natural wonders, Shipton's Arch, come together to create this memorable image at the Gobi March 2012. 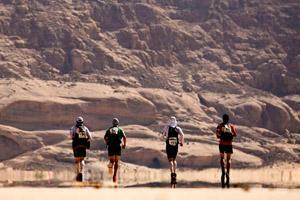 This image of the Sahara Race 2009 encapsulates 4 Deserts events. beauty. effort. solitude. unity. 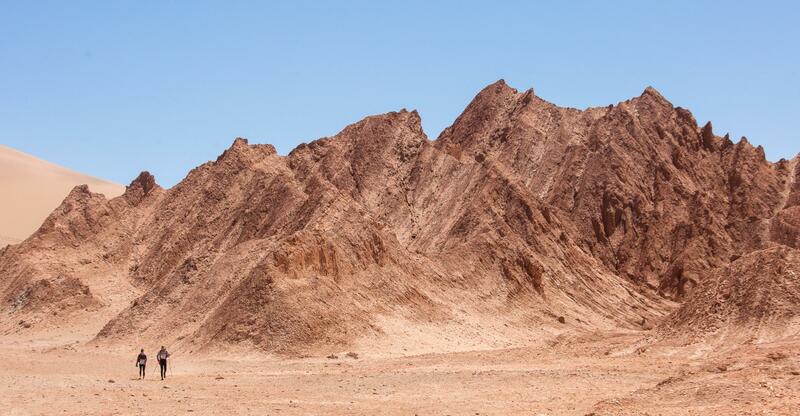 Heat waves rising from cracked earth in Jordan 2012. An inhospitable environment yet people choose to pit themselves against the elements. 4 Deserts: Namibia 2009. It was very tough and beauty and fantastic. 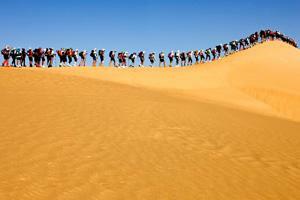 I love this photo of the Sahara Race 2009. This was the first Sahara Race. It was very hot. 2005 was the hottest race. 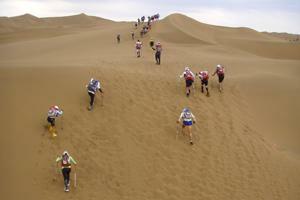 The Gobi March 2005 was amazing. Mr. Kim carried blind runner. The race was very tough. This was our first Korean team at the Gobi March 2003. I first started with 4 Deserts. We have pride about first competitors. 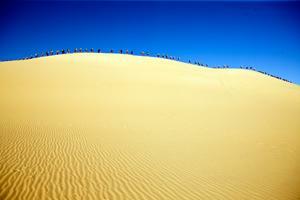 It was very beautiful at the Gobi March 2006. I'm in this one at the Sahara Race 2008. It's the best photo of me. 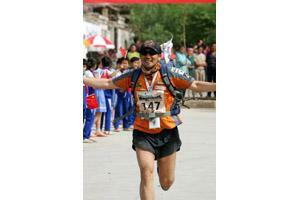 Dotted along the routes of the Gobi March are many schools which have benefitted from Esquel-Y.L. Yang Education Foundation, receiving books and scholarships for promising students and some of the rural schools being completed renovated. 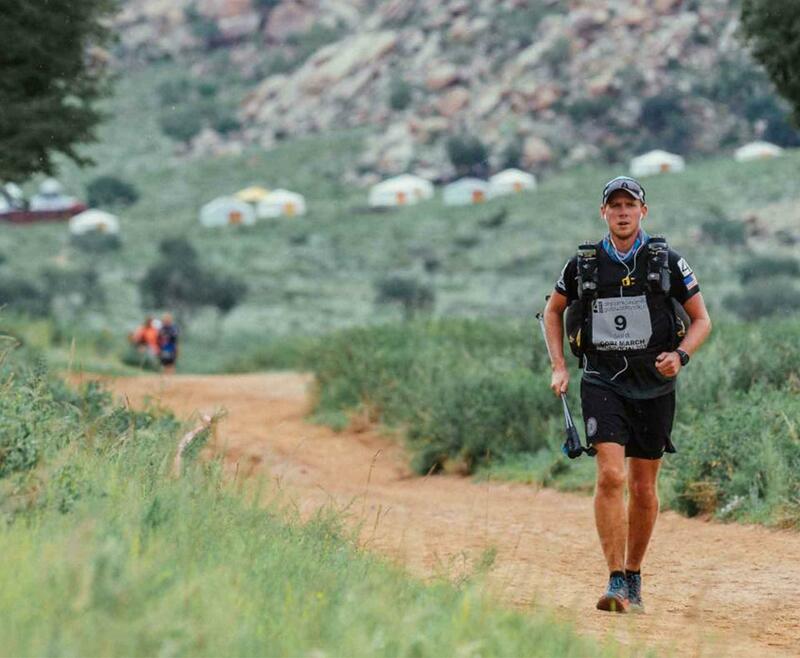 Having partnered with the Gobi March since 2005 as a participant and event partner and sponsor, Esquel is one of RacingThePlanet's longest supporters. Esquel's expertise in the far-western province has seen them provide essential assistance with logistics and local government liaison. In addition to its work behind the scenes, Esquel also organizes a team of three or four participants to take part in the Gobi March each year. While the Esquel colleagues are not professional athletes, teamwork has managed to earn them good results, including first place in the team competition in the Gobi March 2011. "Our participants are selected from the best athletes amongst our over 33,000 staff community within China," Esquel Chairman Marjorie Yang. "Completing the race is no simple task; it requires the highest tenets of team spirit, can-do attitude, physical courage and pursuit of excellence. Their effort and perseverance clearly demonstrates the unique characters of Esquel employees and serves as an exemplar for all. It's an exceptional opportunity also for them to network with other athletes and share their sweat and tears." Esquel has worked in Xinjiang for many years, with cotton being their most important raw material - the Extra Long Staple cotton is only found in Xinjiang. Having travelled and worked in Xinjiang many times, Ms. Yang shares some of the same sentiments about the region as so many of the Gobi March's competitors. 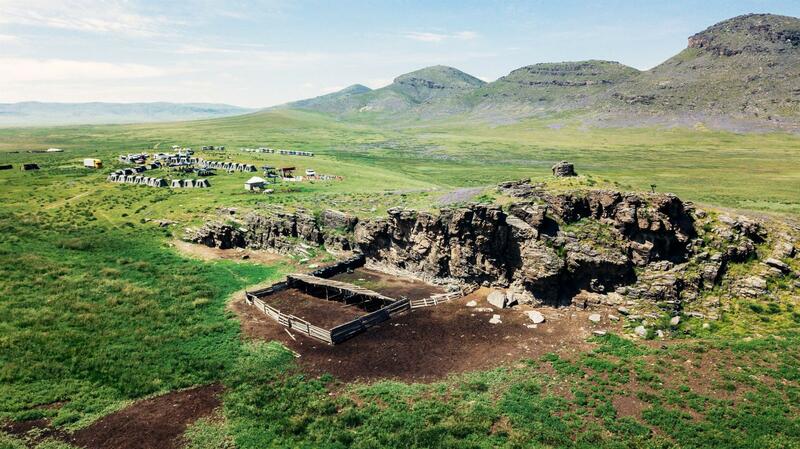 "This is one of the most exotic regions in the world," Ms. Yang said. "Esquel first discovered Xinjiang while commissioning spinning in the region. 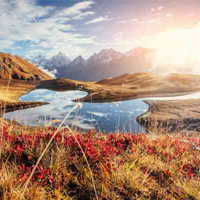 It was a place of such beauty and fragility that prompted us to come to Xinjiang while putting sustainability at the heart of our mission and practices. 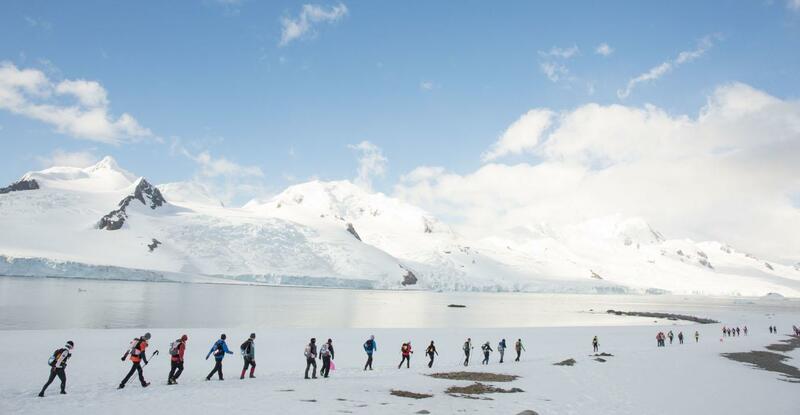 Our participants said that this is one of the most memorable natural sceneries in a lifetime." 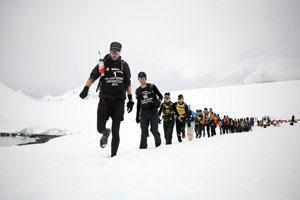 Over the years, RacingThePlanet has been proud to support the Esquel-Y.L. Yang Education Foundation. Established in 2003, the Foundation's projects are based in rural Xinjiang and are focused on education and community: the renovation of 21 schools, student scholarship programmes, the donation of 33,000 books to over 1,000 schools, and a programme that supports families whose parents are affected by AIDS. In 2012, the Foundation will partner with the Hong Kong Polytechnic University's School of Optometry to conduct eye examinations in rural communities. This year's Gobi March will once again pass through remote regions of the Gobi Desert and RacingThePlanet and Esquel will continue to support schools in need. "During the preparation and prior to the event, the Gobi March team would identify schools with genuine needs along the competition route and make donations of computers and furniture to these schools," Ms. Yang explained. "This has meant a lot of improvements to the learning environment of children in these schools." In 2006, a small, three-year-old girl named A Yiguli arrived at Operation Smile's medical screening site in Kashgar, strapped in cloth that was tied to her mother's back. She had a deep, wide facial cleft that prevented her from eating and drinking normally. Her parents carried her like an infant because she was tiny and malnourished. Taking turns drinking from a canteen, A Yiguli's parents mashed up food in their own mouths to spit what little sustenance they could into the child's gaping cleft, just to keep her alive. They were determined and loving. Everyone wanted to help the child, yet the Operation Smile doctors were at a loss. The deformity was so severe that the surgery required was too complex and risky to be done in Kashgar. 4 Deserts staff and volunteers were visiting the day of the screening and moved by the child and her story; they subsequently asked Operation Smile to make sure the child was treated, at whatever cost. When staff and volunteers went looking through the hospital to find the family, the family had disappeared after being told they could return to their village until Operation Smile worked out a solution. As luck would have it, the family had waited outside the hospital, resting against the courtyard wall. Three days later, arrangements were in place. 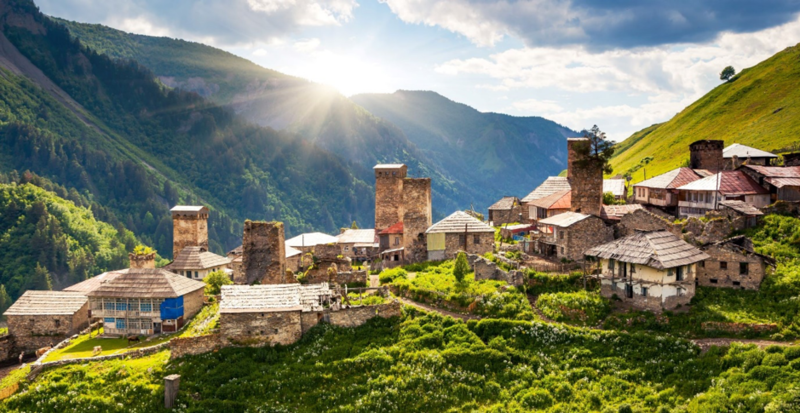 The 4 Deserts helped finance a six-month nutrition program, which included the use of special feeding bottles and the provision of protein-filled foods like eggs, meat and cheese, for A Yiguli. Oversight from the local health agency was also arranged to provide support. Given the extent of reconstructive work needed to rebuild her facial structure, one of Operation Smile's premier volunteer craniofacial surgeons in Shanghai agreed to take on A Yiguli's case. The 4 Deserts was thanked for helping to provide for transportation, accommodation and surgical supplies. A Yiguli has now had two successful major surgeries with a third one planned in Shanghai in late 2012. 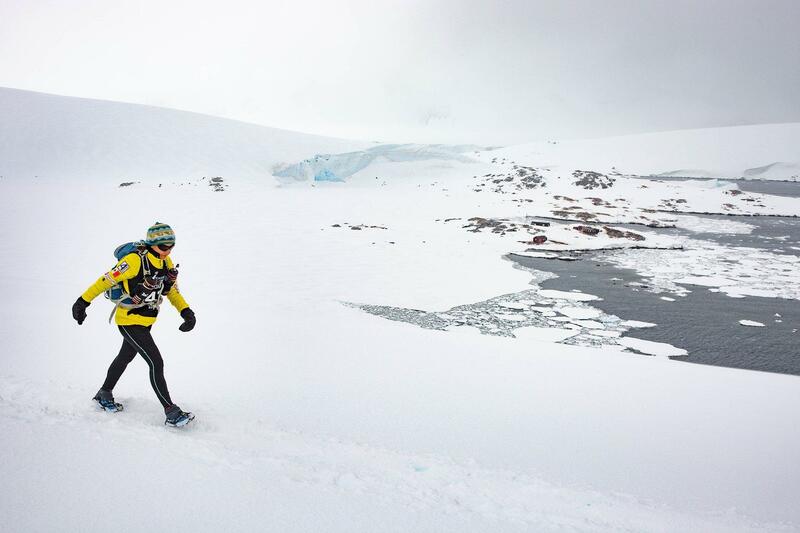 (10 August 2012, Hong Kong) - Mary Gadams, founder of the 4 Deserts Race Series, has finished a radio interview with National Geographic Radio host, Boyd Matson. 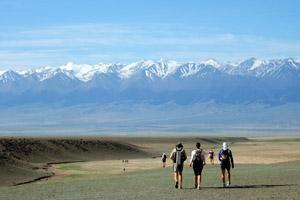 Matson competed in the inaugural Gobi March in 2003, followed by the inaugural Atacama Crossing in 2004. On his radio program, Matson spoke to Gadams about the first decade of the 4 Deserts, which celebrated its 10-year anniversary in 2012. The interview was broadcast on National Geographic Radio in the United States. 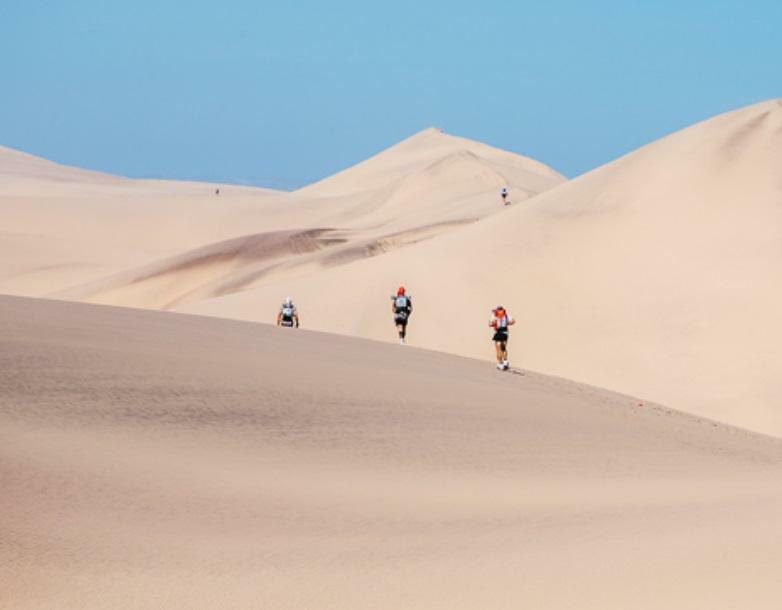 The 4 Deserts is the world's leading endurance footrace series, a unique collection of world-class races that take place over 7 days and 250 kilometers in the largest and most forbidding deserts on the planet. Competitors must go beyond the limits of their physical and mental endurance. Racing self-supponed in the most inhospitable climates and formidable landscapes they must carry all their own equipment and food, and are only provided with drinking water and a place in a tent each night to rest. 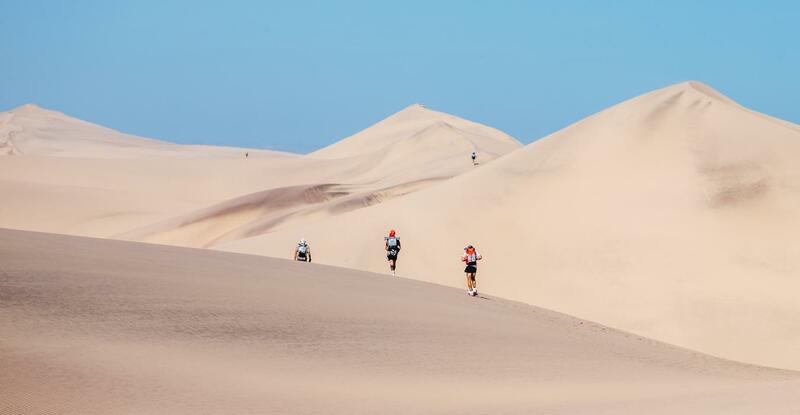 The series named again by TIME magazine as one of te World's Top 10 Endurance Competitions comprises the Sahara Race (Namibia), Gobi March (China), Atacama Crossing (Chile) and The Last Desert (Antarctica).